Today is November 1st, so that also means it is Dia de los Muertos. I find that a lot of people kind of think of it as Halloween 2: Sugar Skull Boogaloo. And yes, there are skulls, but it’s not just a day to dress up again. On this day, you think about those who have died, pray for them, and celebrate their lives. Although we are partying tonight, I wanted to take some time to remember those I have lost. I don’t make it out to Renee’s garden as often as I did in the months after her passing. I don’t know why, really. I guess in the grand scheme of things, it doesn’t matter. It’s not as if she, and all the people I have lost in my life, are ever very far from my mind. But it was nice to have a few moments there in the garden, just to think. Day 327 – Spring Comes There, Too. You guys might remember that after our friend Renee passed away, I decided that it wouldn’t be right to rent out her parcel again, and so we made it into a memorial garden for her. Throughout the year, I changed the trees, the flowers, etc, for the seasons. It was time for spring to come there, too. Okay, I just tried to ride my bike back to the house and I got lost in our trees. I REALLY need to landscape better. Day 207 – It’s not forgetting that heals. It’s remembering. Back in December when Renee passed away, Ulaa and I decided to do a garden on her parcel in her memory. I knew that there was no way I’d ever be able to rent out her parcel again. She loved it so much and it was hers. But neither one of us moved to do the garden. 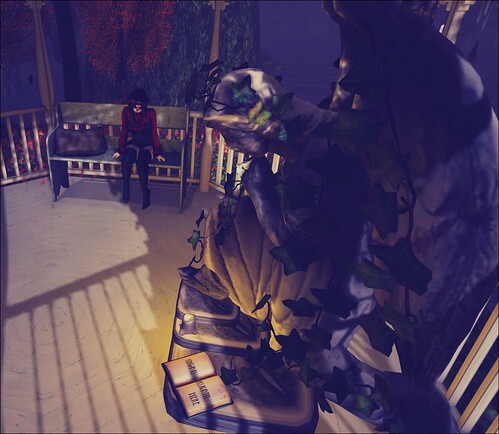 Her house came down, the flowers her family left were taken away, and I terraformed her parcel into its own little island. That was as far as it went. “Well, it’s winter,” I thought. Can’t really have a garden in winter. As spring came back to the island, I stared at Renee’s little parcel often. “Later,” I figured. We’d do it later. Have you ever felt so drawn to do something that you knew that if you did NOTHING else on that day, you had to do that one thing? That’s how I felt today. It was time. I HAD to do something today for Renee’s garden. It was on my mind when I woke up, when I ate lunch, when I talked to my mom on the phone. If I did nothing else today, I had to get started on this. I don’t think that it’s really finished. 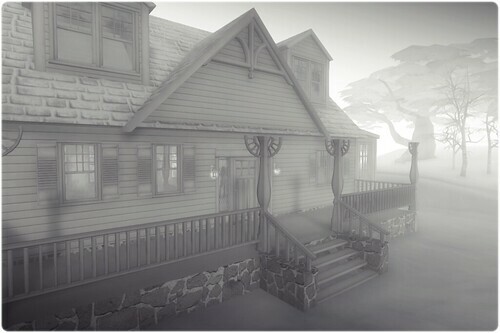 It might not ever be because I’m sure Ulaa will want to add her touches to it, and new landscaping items come out all the time, and seasons change. But for now, I feel satisfied. There are people you think will always be in your SLife. You might not get to talk to them much, despite the fact that they are your SL neighbor, but you feel better just seeing their name on your radar. Renee GossipGirl was one of those people for me. She came into my SLife probably around 2009 and we became friends. Eventually she moved onto a small parcel next to mine on Bluebonnet. Once in a while she’d wander over to say hi, or she’d pop up in my IMs. No matter what she had going on in her life, if I appeared to be having a bad day, she’d IM me just to let me know that I was cared about. This evening I received word that my dear friend passed away on December 20th. Renee had congenital muscular dystrophy. She’d been in a wheelchair for many years. She needed help breathing and eating. She had more reason than anyone else I know to truly be angry at life. And yet, Renee was not angry. In fact, I had never met anyone who had as much joy in them. It radiated through her every word. Even on the worst days, she’d get her treatments at the hospital or from her nurse and then shrug it off. If I was complaining about someone, she’d ask me, “Who is it so I can run over them in my wheelchair?” She understood my sadness over my fertility issues because she loved children and wanted them for herself. She did things in SL that she couldn’t do in RL – like have a wedding [which is how I first met her, when she invited me to her wedding] and have a baby. She was able to work in a store in SL for a time. She had a family in SL. She had a home. She was able to wear heels. She was able to dance. Renee loved Second Life. She especially loved the holidays in Second Life. The last time we spoke was 2 days before she died and she sent me a notecard. She wanted to know what I wanted for Christmas. You, too, sweetheart. You, too. 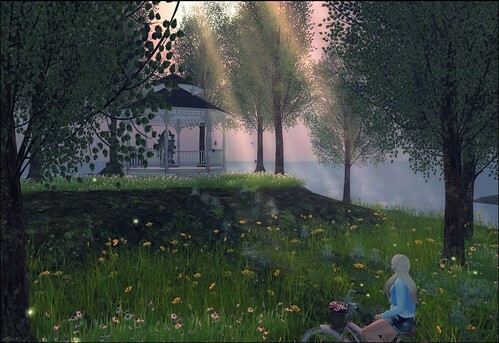 This was her last home in Second Life. I’m going to leave it up for a while.